Mortgage Rates were able to finally able to move lower last week after mortgage bonds rallied higher from a floor of support. If you look at the mortgage bond chart below you can see mortgage bonds had been selling off since end of August but finally found a floor of support on September 24, 2018 and were able to rally higher last week. But mortgage bonds sold off on Friday and ended the week with a red candle which formed a very bad technical signal so we are recommending LOCKING your mortgage rate to start the week. The Federal Reserve voted to raise the Fed Funds Rate by 0.25% last week at their Open Market Committee meeting bringing it from 2.00% to 2.25%. Most people think the Fed will hike rates a fourth time in 2018 and predict three more rate hikes in 2019. The final reading of the Gross Domestic Product (GDP) for the 2nd quarter of 2018 came out at 4.2% and remained unchanged from the 2nd reading. This is the highest GDP in 4 years. If we take the Q1 reading and the Q2 reading on GDP and extrapolate them over the year, GDP would come in at 3.2% which is very solid number. The Feds favorite measure of inflation, Personal Consumption Expenditure (PCE), was released for August 2018 and showed headline inflation was up 0.1% from July but decreased from 2.3% to 2.2% year over year. Stable inflation is bond friendly news and should help mortgage bonds. Weekly Initial Jobless Claims were released on Thursday and claims moved up 12,000 to 214,000 claims for the week. The previous week’s claim was raised higher by 1,000 claims from 201,000 to 202,000 claims. Even with this slight increase in jobless claims, the labor market continues to be very tight and employers are holding onto good employees. The jobless claims points to a very good jobs report this Friday. New Home Sales for August 2018 rebounded and were up 3.5% from July 2018 to 629,000 units on an annualized basis after 2 months of declines. The median sales price of a new home was $320,200 which is a 1.9% year over year increase. New Home Sales are up a whopping 12.7% year over year! Pending Home Sales for August 2018 were down 1.2% to 104.2 on the index which is down from 106.2 in July. Pending home sales measures the number of signed contracts to purchase existing homes that are for sale. Pending home sales are a good leading indicator of Existing home sales. Pending home sales are down 2.3% year over year and is most likely to higher home prices, higher mortgage rates and low levels of inventory of homes for sale. The Federal Housing Finance Agency (FHFA) Houese Price Index were released last week and showed that home prices rose 0.2% in July 2018 from June 2018 and are the year over year appreciation decreased slightly from 6.5% to 6.4%. This is a very healthy number as 6% appreciation is very sustainable. Locally, the South Atlantic Region is up 11% in July from June and is up 7.3% year over year. South Atlantic Region contains Delaware, Maryland, and Virginia. 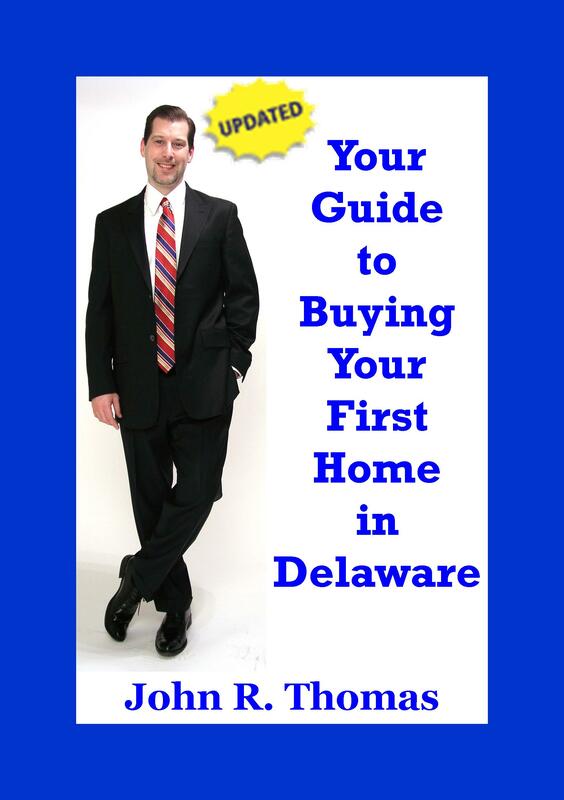 Delaware First Time Home Buyer Seminar is Saturday October 20, 2018 in Newark, Delaware. Delaware First Time Home Buyer Seminar is Wednesday October 24, 2018 in Wilmington, Delaware.